The Oneota Community Cooperative board has unanimously approved three motions related to remodeling the current store location at 312 West Water Street. The board approved the plan to remodel and approved to give General Manager David Lester the ability to secure bank financing up to $520,000 to start the project in February 2019. Two other motions related to the project involve launching a new member loan campaign and hiring a business consultant to assist the board in the future member loan campaign were also approved. Highlights of the future remodel will include replacing the current refrigeration system with a new, 20 percent more efficient system, expanding the fresh departments (deli, produce, meat, dairy) and updating the interior of the current store to better serve its members and customers. Members in the state of Iowa will have an opportunity to invest in the remodel through cooperative member loans that will be announced at a later date. Located in downtown Decorah, Oneota Community Food Co-op is a cooperatively-owned grocery store specializing in local, organic and sustainably produced products since 1974. 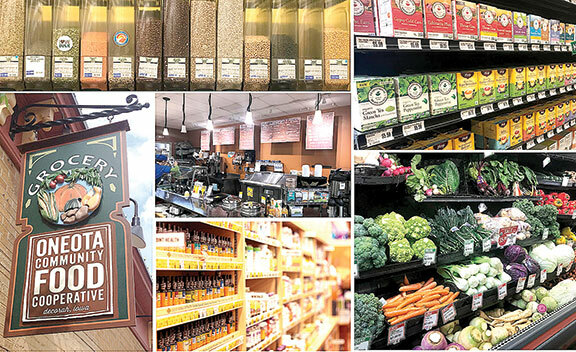 For over four decades, the Co-op has been the leading provider of whole foods at a reasonable cost, with an emphasis on organic, local and bulk foods. Roughly 45 cents of every dollar spent at the Co-op stays within 100 miles of the store. Stop in and see us at 312 West Water Street in Decorah, or online at oneotacoop.com.